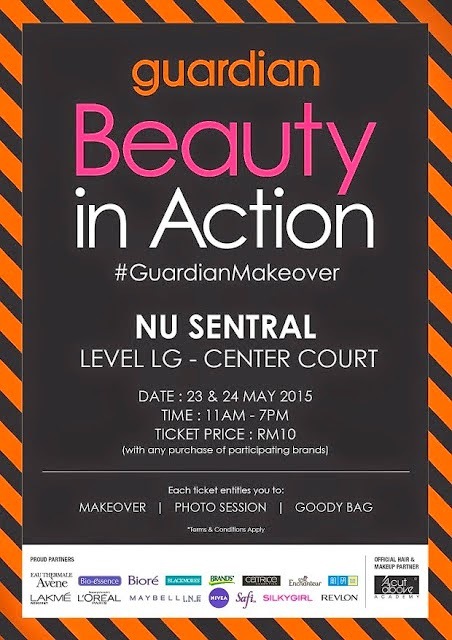 The Guardian Beauty In Action 2015 is back!! It was formerly known as the Great Guardian Makeover and this time they are having it at Nu Sentral Level LG - Centre Court! I will be there tomorrow so do come over and say HI if you see me! You will definitely not regret going for this! Check out all the great fun and stuff I had last year!